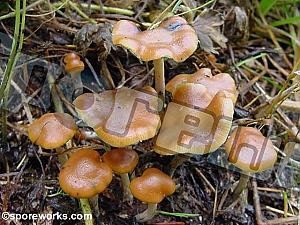 The Phoenix Oyster is an aggressive mushroom that fruits easily on a wide range of substrates. 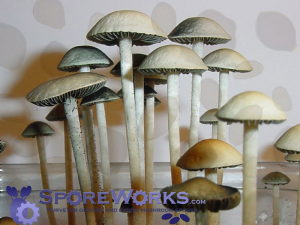 This is the most popular mushroom for beginners and is the top choice for introductory mushroom cultivation demonstrations. Fresh oyster mushrooms seen at markets are most often this species. The aggressive and productive nature that makes this mushroom popular also makes it quick to decay after maturity. Harvested mushrooms may continue to grow even if refrigerated and often spontaneously form new primordia. Mushrooms should be consumed or dried within days of harvest for best quality. These mushrooms need plenty of fresh air to develop normally. 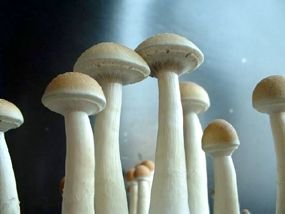 High carbon dioxide levels from mushroom metabolism will accumulate in sealed growing environments and can reduce cap size and elongate stems severely.